When you think of a boutique brand of pedals with an artist roster the size of the famed library of Alexandria, you couldn’t NOT think of anyone other than Origin Effects. The pedal brand started in Oxford, Central Southern England in the United Kingdom. Origin Effects was created by Audio-Designer Simon Keats, who wanted to put his skills and experience to the test and create a brand that can serve the gigging musician. Originally (no pun intended) they worked out of a small barn conversion. This was their home base for a few years until they expanded as popularity, reliability and trust grew with customers and performers alike. Despite the progression the company has made in recent years, they have stuck to their principles and each pedal is still individually and expertly calibrated, assembled and painstakingly tested using the same high quality materials as when they first began. As this expansion took place, Origin Effects made some real headway in their design and manufacturing process. This allowed them to make more pedals in a more efficient method. As a result, their customers were thanked with a price drop on all products. Now that is very nice! The technological feat Origin Effects have managed is to compress (pun intended) that famous 1176 studio grade (and studio sized!) compressor into a comparatively tiny pedal. There’s no wonder so many artists use it to enhance their tone! David Gilmour (Pink Floyd), Pete Townshend (The Who), Noel Gallagher (Oasis), Ed O’Brien (Radiohead), Jake Blanton (The Killers, Beck, Sia), Don Felder (The Eagles) and Tony Levin (Peter Gabriel, King Crimson, David Bowie, Pink Floyd, Dire Straits, John Lennon). 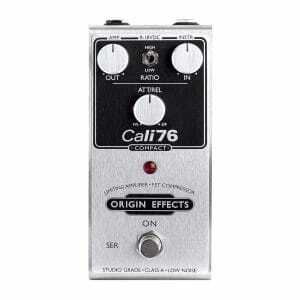 This isn’t even a tenth of the massive list of famous players who use Origin Effects on their pedalboards. 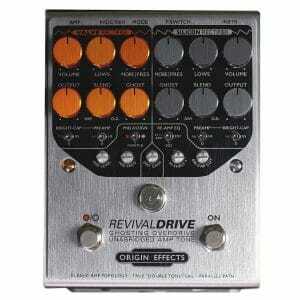 Many of whom use Origin Effects compressors and a growing number using RevivalDRIVE’s. If you want to check out more of the artists on their list click here. We at Sound Affects love seeing new gear, especially when it’s popularity precedes it. This makes us very proud to be stocking this incredible brand in our boutique store, sitting amongst many other high quality brands. 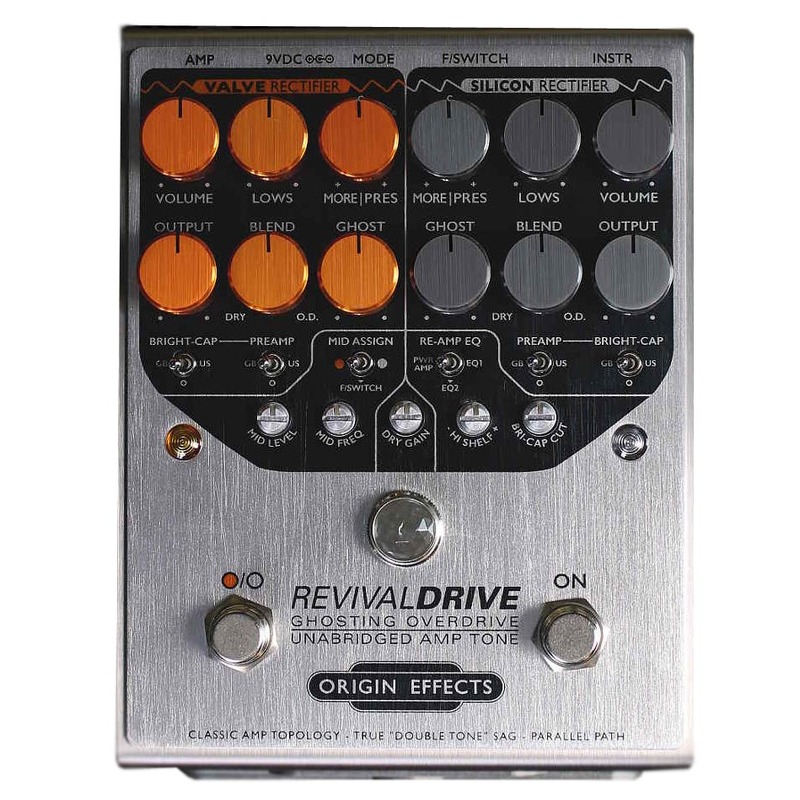 If picking up or giving a try of a Cali76, RevivalDRIVE or any other Origin Effect interests you, just keep an eye out on our website for more information. We will have newsletters sent out with more details very soon. When they arrive in store, come and try them out! We have a feeling these pedals will be off the shelves and on someone’s pedalboard as fast as they’re put there!